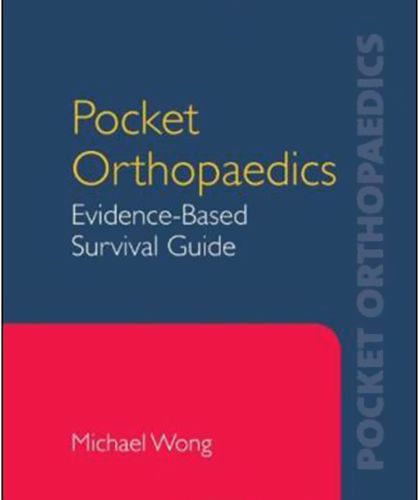 Pocket Orthopedics: Evidence Based Survival Guide is a pocket guide for students in any orthopedic course, including physicians, physical therapists and assistants, occupational therapists and assistants, chiropractors, massage therapists, and athletic trainers. This useful resource is organized in a manner that is helpful for both students and clinicians. The reader will find the information they need easily, as the information is organized by body regions, and includes medical screening differential diagnosis tables, origin, insertion, nerve supply and action of muscles. Suggestions for evaluation, post surgical rehab protocols, and evidence based parameters for modalities are also included in this must have guide.